FINALS UPDATE: Superstore (1.3) and The Good Place (1.3) adjusted up while The Big Bang Theory (R) (1.3/1.3) and Kevin Can Wait (R) (1.1/1.1) and Bull (R) (0.8) and The Flash (R) (0.3) adjusted down. Week two was more hopeful for Pitch (up to 58%) and Notorious (still a long shot but up to 32%) after small/no drops. In the prelims, we're taking a likely optimistic guess at what the NFL Network football rating will be (about 10% below the NFLN-only opener last year). If it comes in below that, and/or if the CBS repeats adjust down to reduce competition, these percentages could come down some in finals. 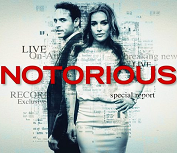 ABC's Notorious (1.1) tried to hang on in week two, preliminarily matching its premiere rating as surrounding programs Grey's Anatomy (2.4) and How to Get Away with Murder (1.3) were both down a touch. The Thursday sledding got even tougher on NBC, as Superstore (1.2) took a big hit 8/7c and (at least in the prelims) lost out to even a repeat of The Big Bang Theory (1.4) in their first head-to-head duel. The Good Place (1.2) remained a solid match at 8:30, but the dramas Chicago Med (1.3) and The Blacklist (1.1) dipped further in week two as well. On Fox, Rosewood (0.8) woke up a bit from last week's nightmare opening, while Pitch (1.0) held off the fractionals in week two. CBS had a one-week break from Thursday Night Football, using it to repeat its Monday comedies (1.4/1.3/1.4/1.2) and Bull (0.9). These numbers will probably come down in finals since the network still had some local preemptions for TNF (which was carried nationally on NFL Network only). 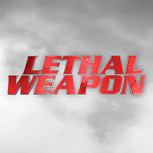 FINALS UPDATE: Criminal Minds (1.9) and Blindspot (1.3) and Law and Order: SVU (1.6) and Lethal Weapon (2.0) and Empire (3.7) adjusted up while Penn and Teller: Fool Us (R) (0.3) and Whose Line Is It Anyway? (R) (0.3) adjusted down. Not a great start for Code Black (37%), which is immediately at the bottom of the CBS totem pole. Not a ton of movement elsewhere. The solid holds were good news for Speechless and Lethal Weapon. The model cooled a bit on Blindspot (81%) in its second regular episode, but it's still a noticeable improvement on previous occupant The Mysteries of Laura. The promising premieres of week one continued to hold up decently in week two. 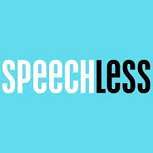 In the 8:00 hour, Speechless (1.8) was down two tenths from last week's premiere, dipping slightly behind its The Goldbergs (1.9) lead-in which shed a tenth. And Lethal Weapon (1.9) took its own low-teens drop, remaining a significantly improved option on Rosewood; a year ago, Rosewood was just a tenth higher with nearly two more points of Empire lead-out juice (5.5 last year; 3.6 this year). 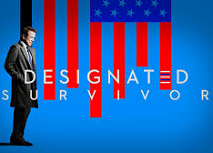 The only newbie that took even a slightly above average drop was the ABC drama Designated Survivor (1.8), down by four tenths (or 18%) in its second week. But with this kind of show, ABC will still take that, especially since the network's most alarming week two drop came from DS' lead-in Black-ish (1.6). Modern Family (2.3) had a low-teens drop at 9/8c. On CBS, dramas Criminal Minds (1.8) and Code Black (1.2) were back and matched their 2015-16 season finales. In another year of turmoil in the main cast, Minds was only 10% behind last year's opener, and looked a bit more like the stronger Minds that showed up in the second half of last season. Code Black was 20% behind the year-ago series premiere, but never faced this level of drama competition from ABC. Survivor (2.1) was down two tenths at 8/7c. NBC's Law and Order: SVU (1.5) was the peacock's only steep dropper in week two, probably thanks to the arrival of Minds as competition. Sandwiching it were Blindspot (1.2) and Chicago PD (1.5), each down just a tenth. Hope you have enjoyed the first week of Renewology. The projection-of-future-declines component means that it is most interesting in the very earliest weeks. But these are also the times when we have very, very little to go on in terms of where the network averages will end up. So for this first Renewology Roundup, here are a few thoughts on things to look out for in week two of the numbers. I promise that these columns will be a lot less wonky, and more about the shows themselves, going forward! FINALS UPDATE: The Big Bang Theory (3.6) adjusted up while The Voice (3.2) adjusted down. On the second Monday of the season, the big four broadcasters set their primetime lineups aside from 9:00-11:00 to air the first presidential debate. Early numbers suggest it went considerably higher than the comparable debate in 2012. That meant only a miniature version of the week two primetime clash, in the 8:00 hour. 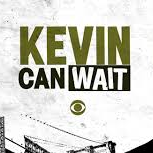 CBS had a key week two for Kevin Can Wait (2.7), leading out of The Big Bang Theory (3.5). NBC's The Voice (3.3) and ABC's Dancing with the Stars (1.8) aired condensed versions, while Fox went with just Gotham (1.2). We will hold off till finals on analysis. FINALS UPDATE: Once Upon a Time (1.3) and Sunday Night Football (7.6) adjusted up while everything on Fox adjusted down: Family Guy (R) (0.8), Bob's Burgers (1.1), The Simpsons (1.4), Son of Zorn (1.1), Family Guy (1.3) adjusted down. After these adjustments, it seems even clearer that there is an issue with how a new component in the True formula is counting the sports competition for the Fox shows. In particular, Bob's and Simpsons should clearly be higher, even if Bob's wasn't renewed already. I went ahead and posted this table but I may be doing some kind of emergency fix for this situation. I'll work on this and get into it a bit more in the True formula update article later this week. It looks like a rough season is ahead for ABC's Sunday drama approach, and it started with Once Upon a Time (1.2) and Quantico (1.0) each returning to tie their spring finales. However, these were predictably hefty declines from their 1.8/1.9 openers a year ago. In the middle was the return of Secrets and Lies (1.0) after a 16 month hiatus. On a historical-adjusted basis, this was a little worse than its 1.5 premiere from that season, and about on par with the show's 1.3 low point. But it's clear that S&L's late-season heat from spring 2015 is long gone. In the prelims, Fox's animated staples got off to a solid start, with Bob's Burgers (1.3) and The Simpsons (1.6) each preliminarily up a tenth from last year's openers, while Family Guy (1.4) was down just a tenth. But the live action offerings at the bottoms of the hours were less impressive; Son of Zorn (1.2) was 20% below the year-ago Brooklyn Nine-Nine (which had full retention on premiere Sunday a year ago), while The Last Man on Earth (0.9) took a disturbing dip from its year-ago 1.4 opener. These shows could get a bit adjusted due to local NFL overruns (which are probably included in the 1.1 Family Guy (R) at 7:00). On CBS, the national NFL overrun led into 60 Minutes (2.3 from 8:00 to 9:00) and the two-hour premiere of NCIS: Los Angeles on a new night (1.4 from 9:00 to 11:00). These shows actually started at 7:51 and 8:51 on the East Coast, so expect adjustments. NBC had a dominant Sunday Night Football; more after finals. FINALS UPDATE: Hawaii Five-0 (1.4) adjusted up while Masters of Illusion (0.2) and Masters of Illusion (R) (0.2) adjusted down. CBS made a huge Premiere Friday splash with a truly explosive premiere from MacGyver (1.7) at 8/7c. It's been almost three years since a Friday night drama hit even a raw number this high (Bones and Hawaii Five-0 each hit 1.8's in 2014). On a historical adjusted basis, you'd definitely have to go at least back to the Numb3rs premiere (a 5.0/123 Plus in January 2005) and probably back to Law and Order: SVU's run on the night in the early 2000s. The show skewed much younger than the other CBS crime dramas, with less than a million more total viewers but a 0.4 advantage in the demo. MacGyver also helped its compatible lead-out Hawaii Five-0 (1.3), which easily trounced its 1.0 year-ago premiere and was near its highest raw number of last season. And Blue Bloods (1.3) matched last year's opener. 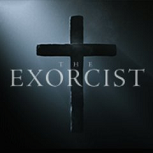 Though overshadowed by CBS, Fox also had a nice opening Friday with the return of Hell's Kitchen (1.1) and premiere of drama The Exorcist (1.0). Hell's tied its last Friday premiere in January, while Exorcist has given itself a chance to be much stronger than Fox's recent scripted efforts on the night. ABC may be seeing its run of Friday dominance slipping away; Last Man Standing (1.1) returned well in the lead-off spot, but Dr. Ken (0.9) tied its season one low point, and Shark Tank (1.1) had a particular stinker at 9/8c. (It never got as low as 1.1 on Friday all of last season.) 20/20 (0.7) was also soft. NBC had Superstore (0.6) and The Good Place (0.6) encores, plus Dateline (0.8/1.1). 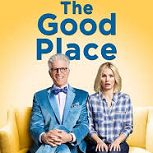 FINALS UPDATE: Grey's Anatomy (2.5) and Thursday Night Football (6.1) and Superstore (1.5) and The Good Place (1.4) adjusted up while Notorious (1.1) and The Flash (R) (0.2) and Supernatural (R) (0.2) adjusted down. The model became more pessimistic along with the ratings on night four of the season, opening Rosewood (28%) and Notorious (25%) as big long-shots to be renewed. (These numbers may still be too high, though.) Subjectively, Pitch actually could be a bit low at 41%, but this formula doesn't weigh lead-ins as heavily as our eyes do sometimes. After three solid days to open the new season, Premiere Thursday brought plenty of red meat for the broadcast TV schadenfreude crowd. For ABC Thursday, usually the night's defining scripted lineup, it was immediately clear that Scandal is missed. Grey's Anatomy (2.4) was still pretty close to its usual self, down just four tenths from last year's premiere. But its lead-out Notorious (1.2) was a very, very pale imitation of Scandal even on premiere night with measly 50% retention. How to Get Away with Murder (1.4) managed to perk up at 10/9c, but was still at barely half of last year's 2.6 premiere! NBC's Thursday revamp may have some potential for long-term improvement, but it was far from a breakout and demonstrated the difficulty of starting over on the night. Sophomores Superstore (1.4) and Chicago Med (1.4) both returned toward the low the end of their season one raw numbers. Superstore's lead-out The Good Place (1.3) had good retention, while The Blacklist (1.3) made a fair transition to the 10/9c hour. And Fox had a rough start to its latest remake of Thursday night, as sophomore Rosewood (0.7) opened even lower than all of its without-Empire episodes from last season, and provided the year's first fractional scripted result by a wide margin. 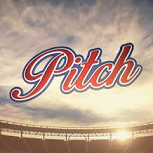 New drama Pitch (1.1) built by a lot on its lead-in, and can safely be called a better start than Notorious in context, but the concept clearly didn't bring in interest on a wide scale. CBS had its second week of Thursday Night Football; more after finals. These numbers are current through Wednesday, September 21. Maybe it is possible for American Horror Story to have a bigger collapse than last year?! It was down almost a full point in week two to 1.79, and -17% compared to week two of last year (after a -7% on premiere night). However, this is an irregular time of year for it to premiere, and it's never gone head-to-head with the return of broadcast competition for week two. So we'll see. Fellow Wednesday breakthrough South Park (0.97) also had a sharp week two decline, but still had better raw numbers than the year-ago week two. Premiere Thursday Best Case/Worst Case: Notorious, Pitch and more! FINALS UPDATE: NCIS (2.2) and Brooklyn Nine-Nine (1.1) adjusted up. The formula agrees that it was a very promising night for both newbies, with This Is Us at 94% and Bull at 84%. At least with these early PUT estimates, it puts all the returnees on strong footing as well. It seems too kind to SHIELD and the Fox veterans, but SHIELD gets a lot of credit for its very incompatible lead-in... and these may be shows that are prone to larger post-premiere declines than the formula expects out of a generic returnee. 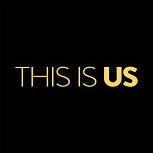 A promising premiere week for new shows continued into night two as the dramedy This Is Us had a very strong 2.8 start, leading out of two more hours of The Voice (3.1/3.6) which actually upticked slightly from premiere Monday. If it holds in finals, this will probably be an even bigger Plus than last year's Monday Blindspot premiere. 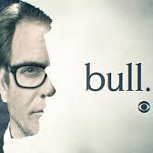 CBS' Michael Weatherly drama Bull (2.2) was also a big premiere night positive, actually building on its lead-in on premiere night. It was surrounded by the NCIS franchise, with the 8/7c mothership (2.1) down four tenths year-to-year and NCIS: New Orleans (1.4) barely hitting a new low in its move to 10/9c. Fox opened its Tuesday season with comedies Brooklyn Nine-Nine (1.0) and New Girl (1.2) leading into the season two premiere of Scream Queens (1.0). Nothing broke out, but all these shows were up from their late-season results in 2015-16. ABC continued its pre-debates holding pattern into Tuesday, with a special edition of Dancing with the Stars (1.5) leading into incompatible Marvel's Agents of SHIELD (1.1) at 10/9c. It'd be a fine start to SHIELD's 10/9c life, though, as this would beat every episode since the spring premiere.